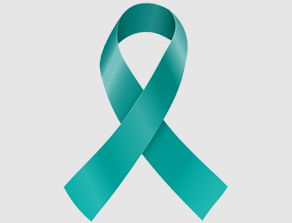 Although the rate at which women are diagnosed with ovarian cancer has decreased over the past 20 years, ovarian cancer is still a leading cause of death for women worldwide. An estimated 22,400 new cases of ovarian cancer will be diagnosed in the U.S. in 2017, with more than 14,080 deaths expected to result from the diagnosis. While all women are at risk of ovarian cancer, the overall lifetime risk of developing the disease is one in 75. The estimated five-year survival rate for patients whose ovarian cancer is detected early is about 93%. However, only 15% of women are diagnosed at the early stages. Ovarian cancer can be difficult to diagnose because initial symptoms are similar to gastrointestinal illness and indigestion. In addition to specific projects listed below, genomics research is helping us attack ovarian cancer – and all types of cancer. NFCR has distinguished itself from other organizations by emphasizing long-term, transformative research and working to move people toward cancer genomics. Dr. Robert Bast, who receives NFCR funding, is best known for developing the OC125 (CA125) monoclonal antibody in 1981 that led to the production of the CA125 radioimmunoassay – the first useful biomarker for monitoring the course of patients with epithelial ovarian cancer. Since this discovery, Dr. Bast and his team have been evaluating ways CA125 can be used to screen for ovarian cancer. For example, results from a large clinical trial involving 200,000 women in the United Kingdom showed that Dr. Bast’s “two-step” approach for the early detection of ovarian cancer – using CA125 detection and sonography – effectively reduces fatalities by 20%. Dr. Daniel Von Hoff, Co-Director of the NFCR Center for Targeted Cancer Therapies, has devoted his career to translational medicine – the movement of new therapies from the research institution to patient care – and has personally been a part of over 200 clinical trials. Dr. Von Hoff and his colleagues have conducted early clinical investigations of many new cancer agents, including: gemcitabine, docetaxel, paclitaxel, topotecan, irinotecan, fludarabine, mitoxantrone, dexrazoxane, nab-paclitaxel, vismodegib and others. NFCR’s support for Dr. Von Hoff’s research with gemcitabine was profoundly successful as it became the first drug to improve survival for pancreatic patients. Many treatments he worked on are now helping tens of thousands of patients with breast, ovarian, prostate, colon, leukemia, skin (advanced basal cell carcinoma) and pancreatic cancer today. Dr. Harold F. Dvorak, who received NFCR funding for over 30 years, discovered that tumor cells secrete a vascular endothelial growth factor (VEGF) and this seminal discovery provided the molecular basis for the field of angiogenesis (meaning “blood vessel formation”). Angiogenesis makes it possible for tumors to grow and spread, and Dr. Dvorak’s discovery helped pave the way for research on anti-angiogenesis treatments that can halt and even reverse tumor growth. In 2004, the first VEGF-targeting anti-angiogenic drug Avastin® was approved by the FDA for the treatment of colorectal cancer, and, today, in addition to colorectal cancer, Avastin is approved for the treatment of non-small cell lung cancer, renal cell carcinoma, the aggressive brain cancer glioblastoma multiforme (GBM) and certain types of cervical and ovarian cancers.